We here at Pacific Honda find that the end of the summer is a pretty common time for these young people to start seriously considering making that new car purchase, mostly because they’ve got their eyes on part-time jobs or internships or off-campus living arrangements, and for the first time an automobile is really and truly necessary. Of course, the question at that point is, what vehicle should they buy? It’s not an easy query to answer, but Kelley Blue Book recently put out a list of the “10 Best Back-to-School Cars for 2015,” and we were pleasantly surprised to see that Honda not only was the lone automaker to feature two vehicles on the list, but that one of those two, the 2015 Honda Fit, actually was the top choice overall for young people in need of an affordable and versatile automobile. 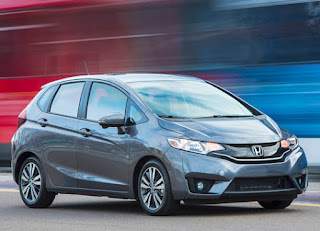 The completely redesigned Fit is, after all, just that thanks to its hatchback design and Magic Seats, which fold away easily to make more room for cargo, but the 2016 Honda HR-V, the other Honda model mentioned on the list and the newest member of the Honda stable, is equally adept to life as a college student’s ride. It does much the same as the best-selling CR-V, but is smaller and more affordable. Buying a new car as a student is a truly exciting experience, and as hard as college may be, choosing Honda should be a pretty easy decision.